If you have just started your search for your very first home, you may have some unanswered questions regarding the complexities that go into searching for and financing your first home. Failing to do your homework before purchasing a home could leave you with buyer’s remorse, as there are many moving parts that make up the home buying process. Thankfully, if you are located in South Bay and are searching for the best real estate company in your area, Jack Palmer Homes has you covered. In today’s article, we will be talking about some of the most important pieces of information that you should consider before purchasing your first home. For more than 17 years, Jack Palmer Homes has helped residents of Manhattan Beach and the South Bay area buy and sell their homes. When looking for a home for sale, you need a knowledgeable and experienced real estate team on your side. Given our long-standing expertise and professionalism, our team of real estate experts possesses an in-depth understanding of the South Bay area that simply can’t be matched by our competitors. 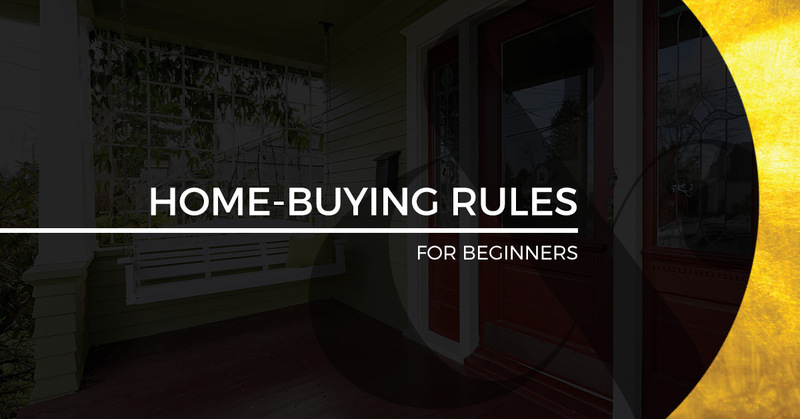 To learn about some of the top tips that you should know when it comes time to purchase your first home, continue reading more below. One of the biggest mistakes that individuals make when looking for a home is purchasing a piece of property that they simply can’t afford. Not only will worrying about bills and an exorbitant monthly mortgage become part of your everyday life, you may even find that this newfound stress prevents you from truly enjoying your first home. This is why it is important to think logically during the home buying process so that you don’t make a purchase that you end up regretting later down the road. Not to mention, there are many unforeseen expenses that come with purchasing a home such as minor repairs and remodeling, which is why it is always a good idea to set a reasonable budget that you stick to when looking for your first home. When it comes time to apply for a mortgage loan, your credit score will be one of the determining factors of whether or not your loan application is accepted or rejected. This can be an incredibly stressful time for first-time homebuyers, but it doesn’t have to be. In fact, many individuals applying for a home loan will be approved if their credit score is 670 or higher. Failing to maintain an excellent credit score can lead to unfavorable interest rates, making monthly payments on your home more difficult than they might be otherwise. If you truly want to set yourself up for success when purchasing your home, it is important to know that there are several benefits that come with putting at least 20 percent down on your first home. Not only does a 20-percent down payment ensure that you receive a lower interest rate on your mortgage, it also means that you won’t have to pay for private mortgage insurance. Private mortgage insurance rates tend to range from 0.3 percent to 1.5 percent of your original mortgage amount. While this may sound like a small fee, the truth is that this can add up to a sizable amount over an extended period of time. By making a 20-percent down payment on your home, you will be able to remove some of the burdens that come with extra monthly expenses. While these are just three tips for first-time homebuyers to adhere to, there are many other pieces of information that are worth knowing before you begin hunting for your first home. If you have additional questions or concerns regarding purchasing a home in the South Bay area, or if you would like to speak with an experienced real estate professional about selling your home in Manhattan Beach, reach out to the veteran real estate team at Jack Palmer Homes today. We have nearly two decades of expertise in helping families in the South Bay area buy and sell their homes, and we would love to help you as well! To learn more, simply complete our contact form located on our website, or call us at 310-422-1828 today.